I’m a little crazy about Christmas. My husband and I absolutely love the holidays and we decorate our house from top to bottom. We love to relish in the festivities of December and the holiday season. 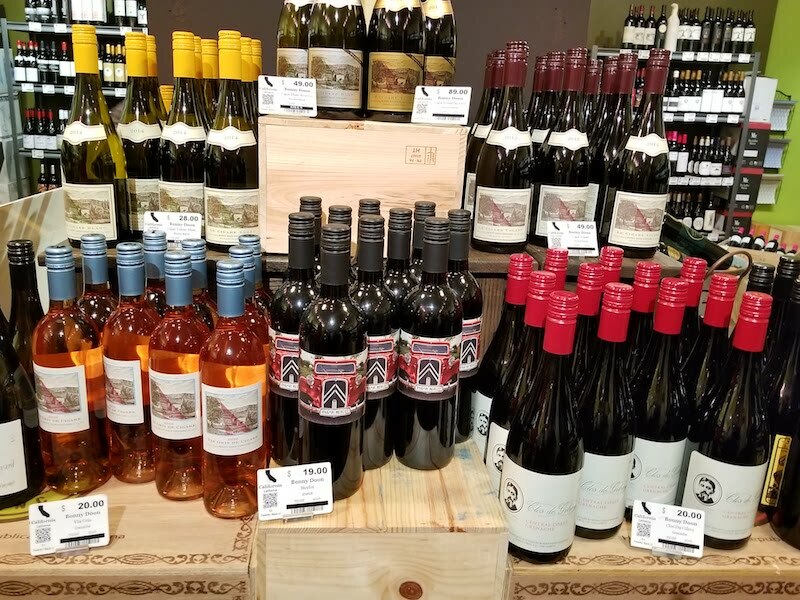 After bringing up all of the boxes of decorations, we pick out some fun bottles of wine to enjoy while beginning the long (but fun!) process of turning our Florida home into a winter wonderland. 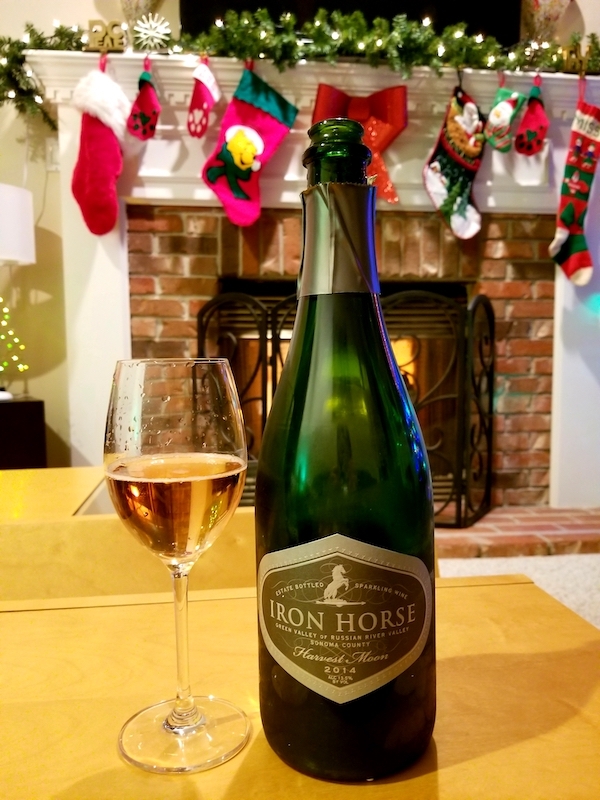 This year we started with a bottle of bubbly from one of my favorite wineries in Sonoma, Iron Horse Vineyards! I personally think that EVERY day is a great day for bubbles, so how could I possibly begin decorating without a great glass of bubbles? 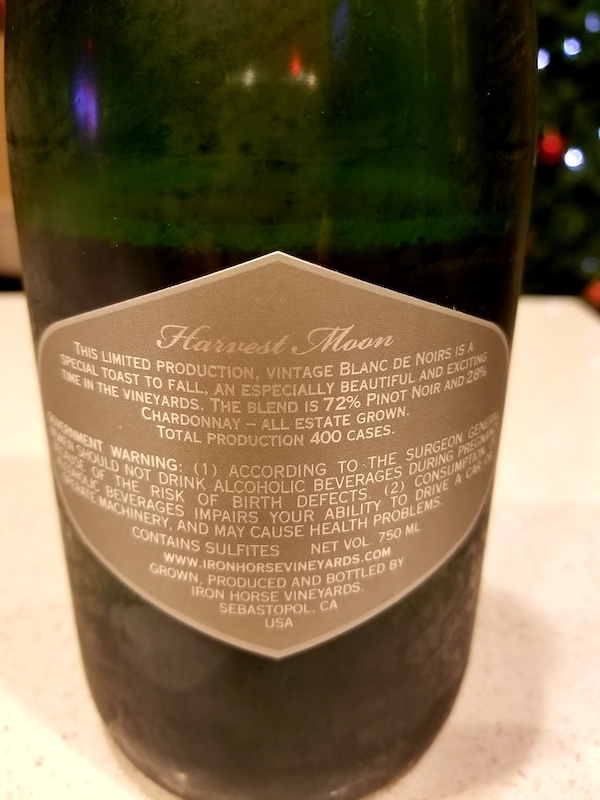 We chose a bottle of 2014 Iron Horse Harvest Moon from the Green Valley of Russian River Valley appellation. 72% Pinot Noir and 28% Chardonnay, this wine has very fine bubbles with toasty brioche on the nose and apple and pear on the palate. This beautifully balanced sparkling wine was a great way to start the evening! 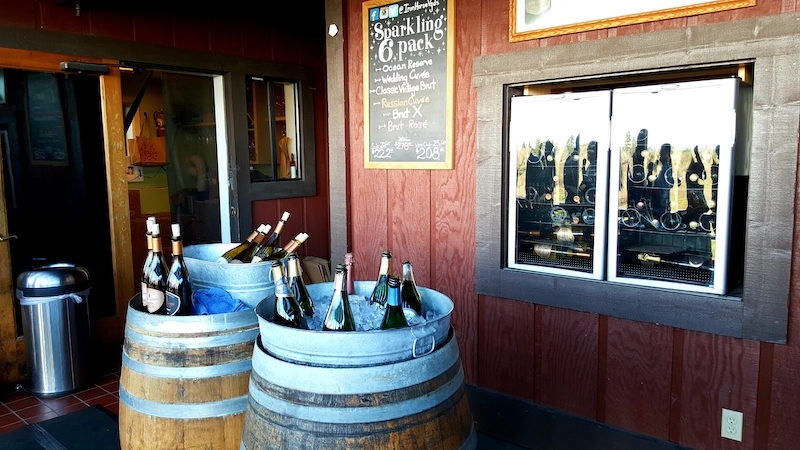 Not only does Iron Horse make some wonderful wines, they are located in an absolutely gorgeous spot! 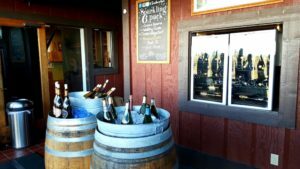 Their rustic outdoor tasting room has a magnificent view and is a must visit spot if you’re in Northern California Wine Country! 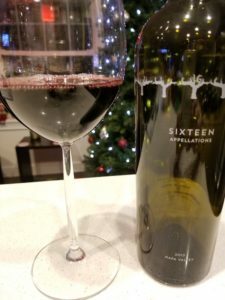 After our bubbles we poured ourselves some 2013 Sixteen Appellations. 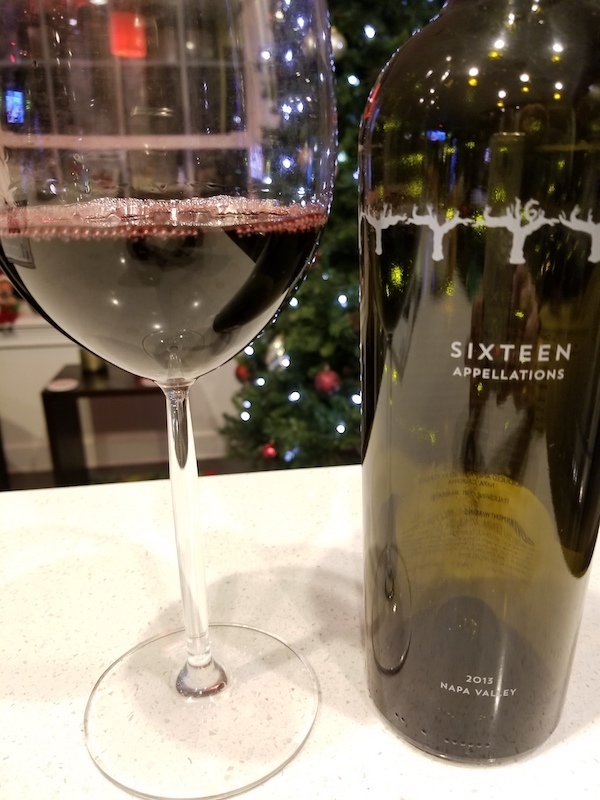 Now a part of the Italics portfolio, Sixteen Appellations began in 2002 when several Napa vintners got together with the idea of using grapes from all of the Napa appellations (then 13) and blending the grapes into a single wine. They wanted a wine to represent the entire Napa Valley. Cool, right??? As appellations were added, the name changed. 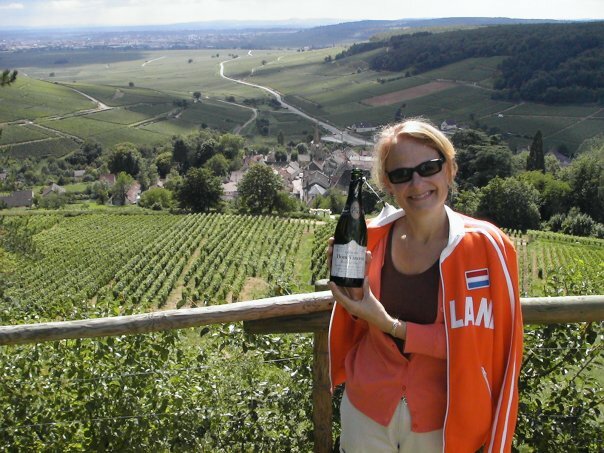 In 2012 the 16thAVA (Coombsville) was added, thus the 2013 name of Sixteen Appellations! This Bordeaux blend consists of 45% Cabernet Sauvignon, 35% Merlot, 15% Cabernet Franc and 5% Petit Verdot. The color is deep ruby. After an hour or so decant, on the nose are red cherry, currant and some coffee. On the palate the fruits are riper, with plum and cherry leading the way, complimented by baking spices and good acidity. 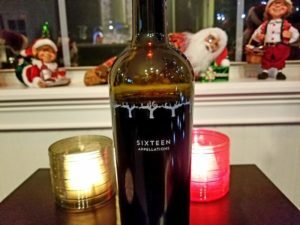 This is a really fun wine and I’ll be buying more! I absolutely love the month of December. The holiday season truly is my favorite time of the year and I love to drink some of my favorite wines and discover some new favorites along the way! So cheers to you all! I wish you happy decorating and happy drinking! 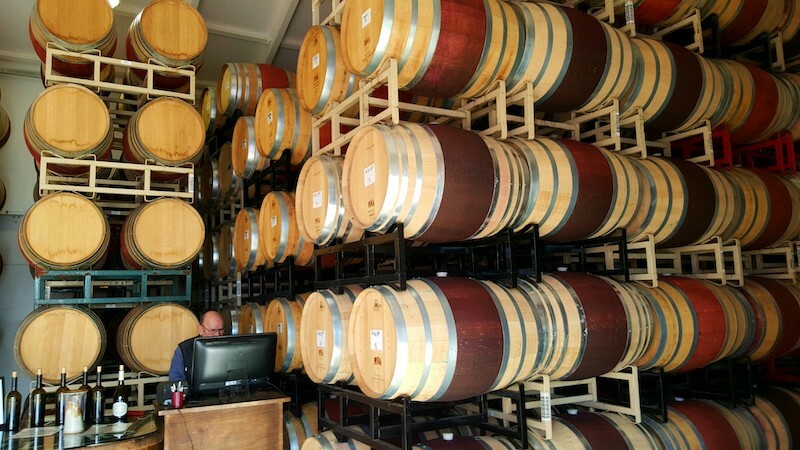 Looking for a “Green” Winery With Wonderful Wines??? Check Out Frog’s Leap! My Husband’s Favorite Kind of Chardonnay, And I Like it Too!